Download this free poster and share via email and social media! 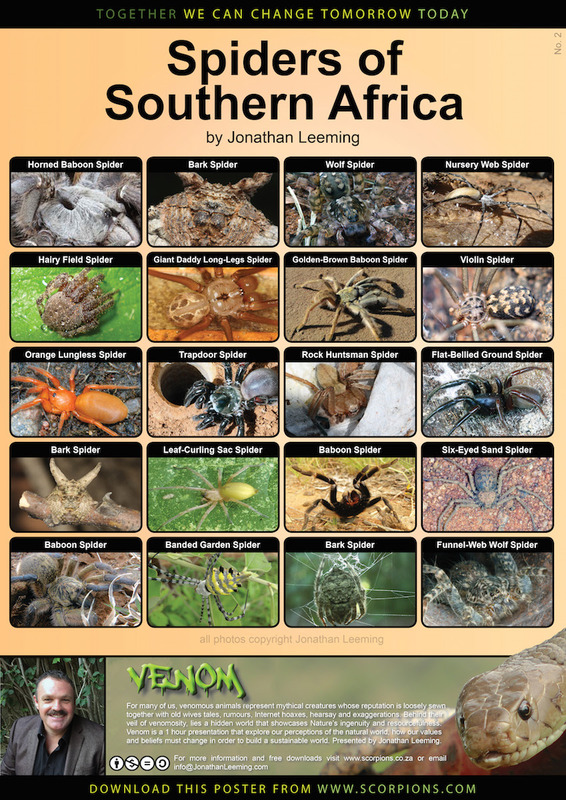 Download this Free Spiders of Southern Africa Poster in PDF format. Designed to be printed up to A3 in size, feel free to forward this great poster to anyone who may benefit from it, or share on social media.